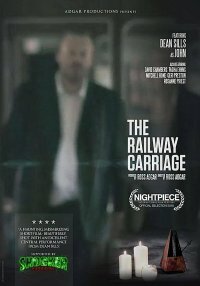 Your new movie The Railway Carriage - in a few words, what is it about? The Railway Carriage is a psychological horror in which the protagonist (John) is trapped in a nightmare due to a mysterious event in his past. What were your main inspirations when dreaming up The Railway Carriage? Inspirations. 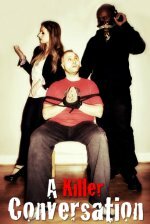 I think the main inspiration was to for me to try and create a film with barely any dialogue, which is told in an unconventional way and in a new genre I have never before made a film in. For me inspirations can come from anywhere, TV, film, games, YouTube, etc. When I get these ideas, I write them quickly down on a scrap of paper, over time these scribbling's condense into a solid idea, but the initial idea comes from me thinking I could use an interesting element, and translate it to film. I have never really thought what inspired me? I think the themes I went for can be found in Shutter Island where Leonardo DiCaprio is frequently visited in his dreams by his dead wife. 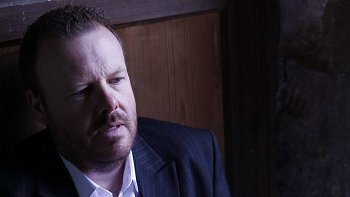 In my film John (played by the fantastic Dean Sills [Dean Sills interview - click here]) is haunted by his two children for a reason I won�t disclose here. The Railway Carriage is rather labyrinthine and associative in narrative - how easy or hard was it for you to not lose yourself in it, and do you actually know more about John's backstory than you've let the audience in on? For me I had a clear idea of what the film is about, but at the same time I wanted the ending to be ambiguous so the audience can make up their own minds. Like I have said the initial idea was using repetition to create a feeling of entrapment for John and the audience. With this in mind, I knew I had to build up tension and at the same time create elements which help convey the story to the audience. This is done through the radio report which is played throughout the film. Without it I don�t think the film would have worked as well as it did. There is a simple story to the film, it is just hard to pick out because it is not told in a conventional manner. In terms of directing, I am very hands-on, but at the same time I want to make the shoot an upbeat and humorous experience for my actors. The whole story and film was my vision, and I think it would been very hard to convey my the ideas in my head to someone else, but at the same time I am open to adapting if someone else has any ideas how to improve the film. Indeed a lot of what is in the script was left out on the shot on the edit, which in hindsight I think is better, that the film is stripped back rather than overburdened. 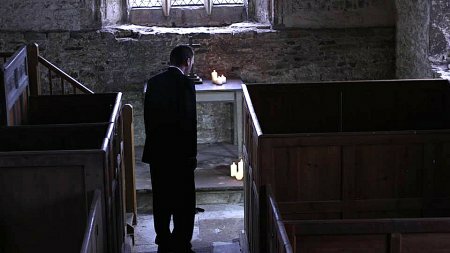 I have to thank Callan Evans for his wonderful sound mix, the eerie sound in the chapel and the children�s laughter on the railway carriage was his idea. You just have to talk about your lead (and more or less only) actor Dean Sills [Dean Sills interview - click here] for a bit, and what made him perfect for the role? 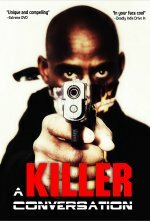 My main actor Dean wasn�t my first choice for my film, he had auditioned for the role of the news reader. However the people who were interested in playing the lead turned out to look too young. I let him have a shot at the lead. He was very keen, and prompt in emails and attending auditions. He kept on saying he really loved the idea and would love working on it. He lives near me and also is a newbie to acting. I am really very very very happy I picked Dean, he was fantastic off and on set and did what I wanted without much direction. Also I have to give a big thank you to Dean for getting the film reviewed and into film festivals which, on my own, I don�t think I wouldn�t have done 10% of what he has done. Also, how did you get your hands on an actual vintage railway carriage to film in, and what were the advantages and maybe also challenges of filming there? For a long long time, I was looking for a corridor, amazingly it is very hard to find one nowadays. I asked a friend (Joseph Briggs) who is a volunteer at Elsecar Heritage Railway if there was any chance I could film on one of their carriages. Incredibly they said yes, so a big thank you to them and Joe. Again I think filming on a carriage actually improved the overall film. The carriages however where quite constricting however, also the floor shock with movement, which you might see in some of the shots of the film. Still it was a great experience. What can you tell us about audience and critical reception of your movie so far? So far the film has had a great response from critics and the public. Usually you should be worried by critics picking over your film, but all I have had to praise and I thank everyone who has reviewed the film so far. As well as this and because of Dean�s efforts, The Railway Carriage has got into two festivals. One Nightpiece has had over two thousand entries from around the world. The fact that my film got selected and further selected for the 100 films shown at the festival is just incredible and is the highlight of my year. Then to get into another festival, Cutting Edge, is further than I ever imagined I could ever reach. Thank you so much Dean for helping this happen. The $64 question of course, when and where will the movie be released onto the general public? The plan is for the film to be released on Vimeo, YouTube and on my website in March time, this is around the time I will be shooting another film. If however I get enough people asking for the film to go online, either through my website or the films Facebook page, I will consider uploading it earlier. At the moment I am working on a twenty minute short film which also deals which the psychological, but in a different way. I won�t give too much away but it is a love story set in a dystopian Britain in which the population is kept in line through mind control. The love story is not straight forward however because the main protagonist cannot remember the woman he loves. If you want to be kept up to date with my new film, I will be updating my blog on my website every week. I really have only been into film for four years now, I don�t know why, but I just really enjoyed it at school. Even though I had never made any films as a kid. I feel now, that it is the best way for me to express my imagination. 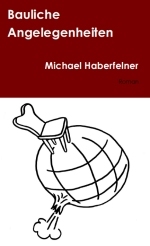 I have tried to write short stories, but I always don�t finish them because I get writers block. This of course happens in film, but I feel I can make my imagination run wild. 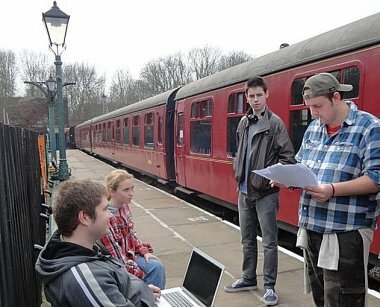 I don�t think a lot of people know this, but I am only twenty one and I am currently in my third year of a Moving Image Production Degree at University Centre Doncaster and The Railway Carriage was my Uni film for last year. Again I have to thank Dean for trusting I would make a film he would be proud of. He has never done a student film before and I think we both took a big gamble with this film. I for example have not worked with professional actors before. What can you tell us about your filmwork prior to The Railway Carriage? The only films I did before The Railway Carriage was Uni films. 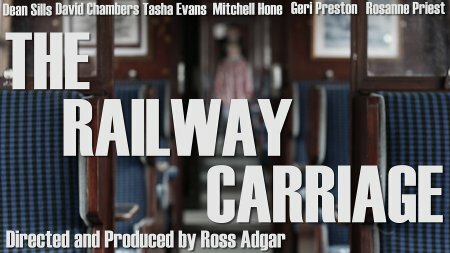 I feel that The Railway Carriage is the best film I have ever made so far. Easy going, and I like to do thinks quickly, I won�t, for example take twelve hours to shoot a two minute scene. My all-time favorite filmmaker is Christopher Nolan whose work has inspired me tremendously over the years. This has got to be Nolan�s The Dark Knight. I watched it at the cinema and was blown away by it. When people talk about the power of the cinematic experience I think of this film. Saying that I do have a secret or not so secret fondness for Arnold Schwarzenegger films and one of my ambitions in life is to make a body building film (you probably didn�t expect that). Even if films don�t really work, you find redeeming elements, for me Batman and Robin has no redeeming features, just don�t watch it. Please don�t for your sanity. https://www.youtube.com/channel/UC36VlpXmOpktQrOAiYzQ_Sw - my YouTube Channel.